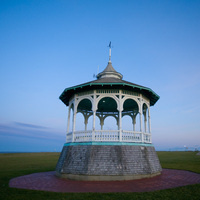 A charming Oak Bluffs park surrounded by Victorian mansions and gingerbread houses. The park features a bandstand which holds weekly band concerts during the summer. CONNECT to End Violence will host their 7th annual Sexual Assault Awareness Walk. Events include kite making and model sailboat racing for children, and kite flying and frisbee games for young and old. Rain date is Sept. 8. Amazing Day ! people were friendly, informative and there were smiles for all ages!